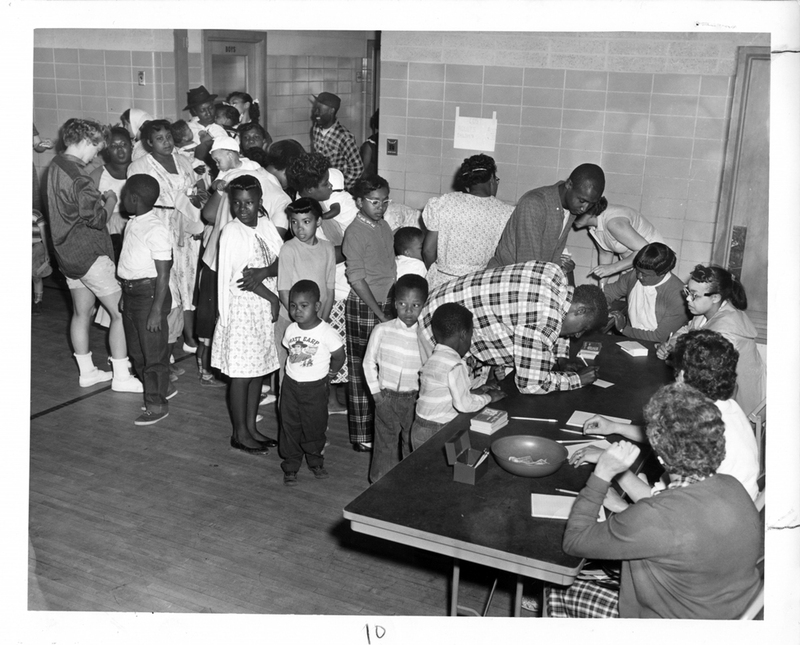 Image: Polio clinic sponsored by the Urban League of Greater Muskegon. Photo credit: Bentley Historical Library / Urban League of Greater Michigan Records. 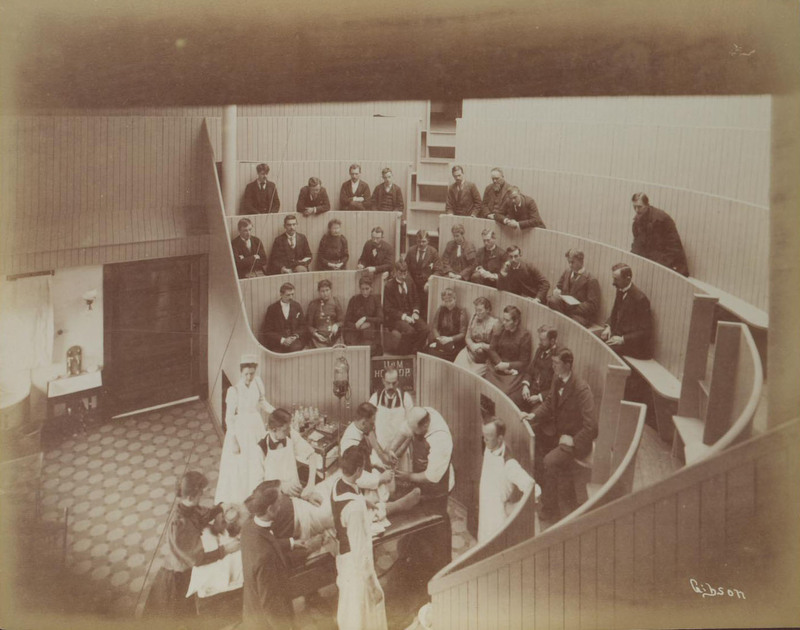 The 1960s saw the beginnings of significant changes in the American healthcare system. The period was marked by the rapid expansion of social programs, including the establishment of Medicare and Medicaid in 1965, and the concomitant blossoming of social sciences and federal support for this research. HSR came into greater prominence as a field over the next 50 years, helped by various shifts in healthcare financing that incentivized interdisciplinary research on how healthcare was organized, delivered, and paid for. 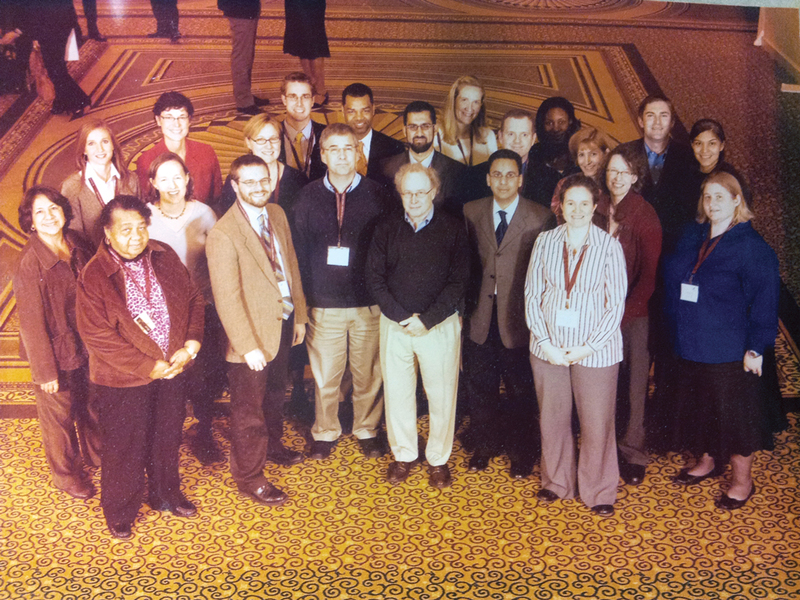 Photo: U-M RWJF Clinical Scholars and program faculty, 2009. Credit: RWJF Clinical Scholars Program. Interdisciplinary collaborations flourish in health services research, as investigators organize themselves and develop new partnerships around pressing questions related to healthcare quality, costs, access, and equity. Beginning in the 1990s, U-M’s own health system developed and implemented innovative health programs with high intensity medical and disease management (first used in pilot insurance products with Ford and General Motors—Partnership Health and ActiveCare), and many of these are still used in UMHS initiatives. 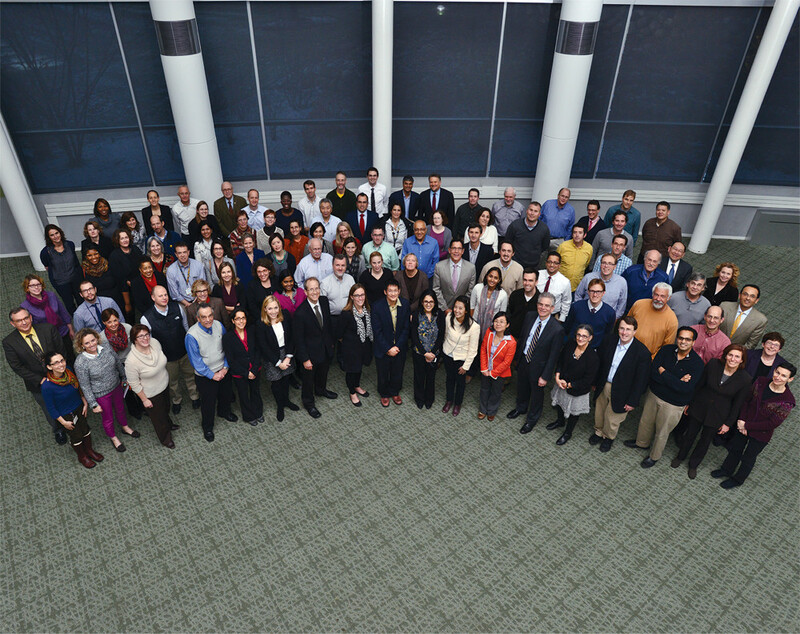 IHPI members gather at the 2014 annual forum. The early 21st century has seen previously unprecedented challenges and opportunities for the U.S. healthcare system. Recognizing the tremendous potential for providing a common home for the many rich veins of ongoing research, programs, and partnerships at U-M at a most critical time for healthcare in the U.S., the U-M Regents approved the creation of the Institute for Healthcare Policy & Innovation (IHPI) in 2011. This milestone paralleled the proliferation of large healthcare data sets, a continued focus on healthcare accessibility, safety, affordability, effectiveness, cost-transparency, patient-centered care, and an ever-growing demand for translating health services research to inform public policy.